SPACIOUS MASTER BEDROOM, FULLY FURNISHED AVAILABLE IN THE HEART OF PETERSHAM. JUST SECONDS WALK TO SHOPS AND TRAIN STATION! Our home includes the following: -Brand New Kitchen! -Fully furnished throughout -Cleaners for communal areas -Unlimited Wi-Fi Internet -Living room with big screen TV. -Laundry facilities -Games room -Fully equipped kitchen -Bed linen -BBQ and outdoor area -Smoking is ONLY permitted in outdoor areas of the property The house is located on New Canterbury road, Petersham and is a short train ride to the city and a short walk to the shops and Norton street, Leichahrdt. You will find everything you will ever need located within a short walking distance including pubs, restaurants, bars and supermarkets. 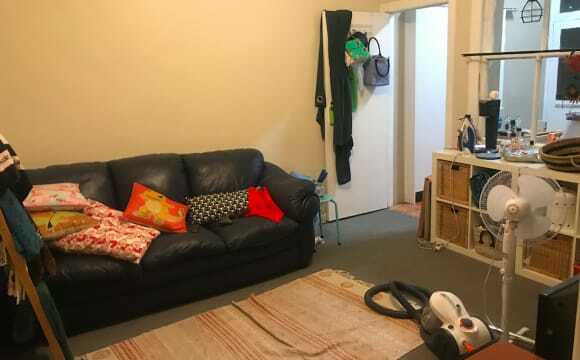 Room price: Room 1 - Single/Couple - $305/$350 includes everything Bond is just two weeks rent Plus cleaners for communal areas!! 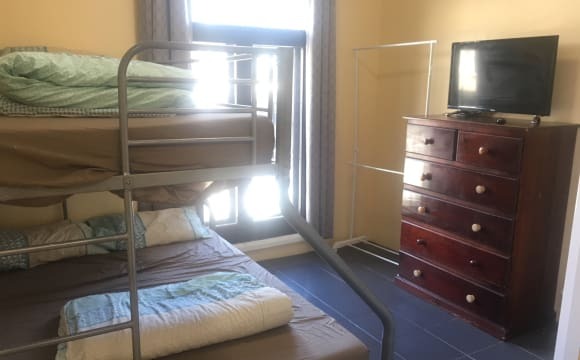 - Available now - $255 per week - $800 bond - Partly furnished - 6 months or more - Internet is $20 a month - Electricity bills are shared - Street parking available - Large bedroom (it’s actually two rooms joined together) which can fit a queen size bed and lots of furniture. - Room has built in bathroom with shower/bath and toilet. - The house is above a shop and is very large. 3 bedrooms, 2 bathrooms, kitchen and huge living room. 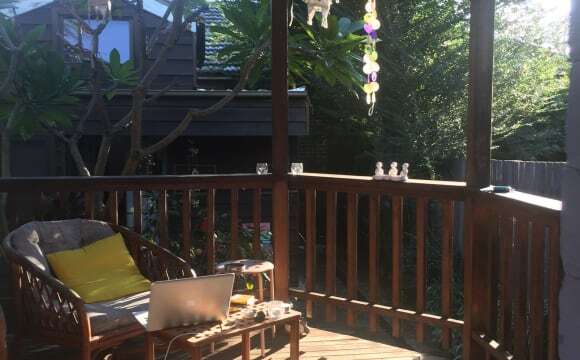 - AMAZING LOCATION: located on the border of Petersham and Leichhardt. 8 minute walk to Petersham station and buses to the city are just across the road. 5 minutes walk away from the lovely main stretch of restaurants/cafes, supermarket, shopping mall etc in Leichhardt. People are friendly and it feels like home. You can put your ideas to decorate the house and make it better. 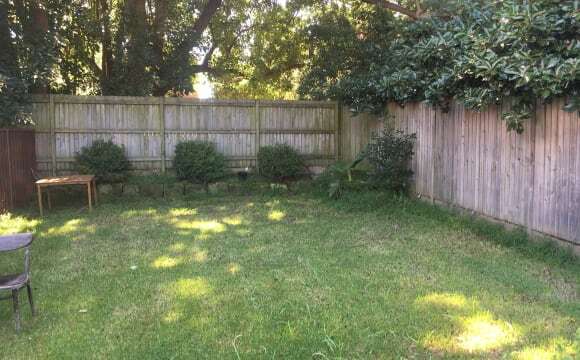 Large newish terrace house in Petersham with 4 bedrooms and 2.5 bathrooms. 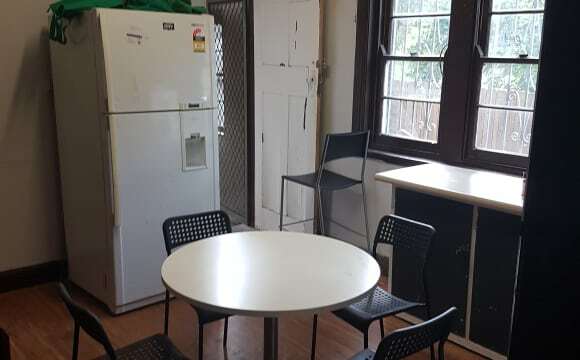 Very convenient location (5 minute walk each to Petersham train station and buses from Parramatta Rd). The property has: - open plan kitchen and dining area - Dishwasher - modern bathrooms - ducted air conditioning - cute courtyard with herb garden - internal laundry The available room, is located on the 1st level at the back of the property overlooking the courtyard, it can fit a queen bed with a couple of chests of drawers or a cupboard and has a large window with a leafy outlook. 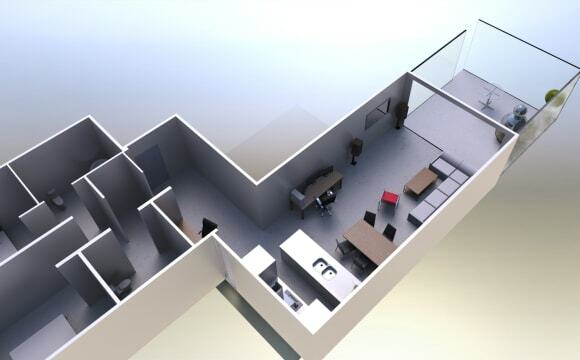 The floor plan shown is from the neighbours property with an almost identical layout to our home. Great house 4 minutes from Petersham train station. Double room available. Nice bbq area. Friendly people and nice clean environment. Can be arranged for a couple we are very flexible with furniture. Largest room available in share house. Furnished with desk, bookshelf, wardrobe (BYO bed). Fan and heater provided. It is cosy and carpeted, with window looking out to the street, with security bars. The house is fully furnished, complete with tv (including google chrome for your streaming needs), washing machine and all you can dream of in terms of cooking knick knacks. We have a large verandah where we congregate to chat, drink and smoke. We do not smoke inside the house The area is quiet and friendly, with two cafes within a few steps of the house and a park + public pool around the corner. Train station and buses within a 5 minute walk. The English lodge is a quiet building set on the Main Street of Petersham. It is 2 minutes away from the train station and only a short walk from the shops and restaurants. The room is self contained and fully furnished. It comes with own fridge freezer, air conditioning, trip bunk bed, clothes rail and tallboy. You have your own private ensuite bathroom inside the room also. All bills are included and free wifi is provided. Beautiful terrace in the perfect location in Petersham. 5 minutes walk to Petersham station (15 mins to Town Hall station), 10 minutes walk to Parramatta road buses and 15 minutes to Norton st shops in Leichhardt. Our local pub is the White Cockatoo which we love! And it's only 4 mins to the front door! We're also right next to the local park and pool. The house itself is big enough that we all have our own space, though most our time is spent in the kitchen, on the couch or at the dining table playing games. The room is the loft of the house. It has its own wardrobe and ensuite, with a great balcony. Amazingly close to Petersham station, with shops and night life within walking distance. So much storage space in the unit! Air conditioner/heater and gas water heating provided. Each bedroom has its own lock. Washing machine, dryer, new fridge, large TV and Nespresso machine. 3 person sleeper couch in apartment (for friends). Lots of new electrical appliances :) Available room is pictured. Includes bed, private TV, mirror cabinet and side desk. The bed also has 2 x linen. Lots of flexibility with furniture and rental terms. Huge backyard, huge double-living room, quiet neighbourhood, gorgeous décor &amp; art and perfect for entertaining. Please contact me. 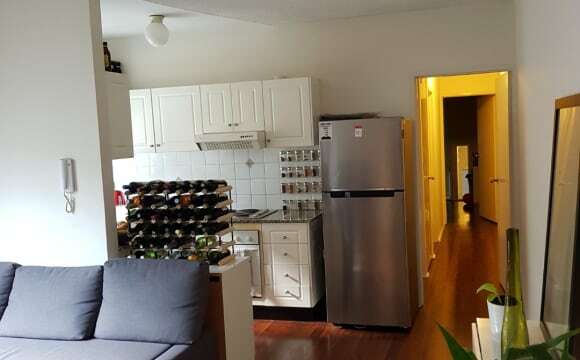 Large sized room available for rent in my 2-bedroom unit in Petersham. Your room is fully furnished with large wardrobe, queen-sized bed, desk and chair. The room has a large window that get lots of natural light. The place is close to everything, the town centre is just down the road with lots of cafes and restaurants to choose from. Transport is very convenient, its just 1 mins to bus stop, 6 mins to train station and 10 mins to city by train. There's also on-street parking out the front. Looking for clean, quiet and relaxed professional to share flat with. Well furnished. Google home. Chromecast to tv 6min walk from Petersham train station. 3min walk from bus stop. 10mins bus drive to Sydney Uni. 4min walk from Norton street Plaza (Shopping,Coles, Groceries, Cinema, Cafes &amp; restaurants... 1min walk from GP(clinic). 3min walk from small park with 1/2basketball court. 4min walk to gas stations. The English Lodge has self contained rooms with shared communal areas including kitchen, rooms have their own ensuite bathroom / fridge / (reversible) aircon / computer with internet inside the room and free Wifi throughout the whole building. They also have their own dedicated kitchen cupboard with all the basic pots and pans etc provided. This room is $295 per week per room with private ensuite bathroom. The rent includes all bills (Electricity, water and Internet). The bedding configuration is a trio bunk (single on top, double on bottom) so can fit two friends/ couple / single comfortably. A security deposit equivalent of 2 weeks rent ($590) is required upon check in and refunded after departure. We have a minimum 4 week stay but no maximum length. We also require 2 weeks notice upon departure. The English Lodge is located on 125 Crystal Street, very close to Newtown and Leichhardt . Public transport (Train station / bus stop) is 2 minutes away from the front door. Living inner west . Close to great cafes and pubs . 100 metres from station . Looking for the perfect fit to take my place in our very loved home in Petersham. Preferably a long-term housemate that is happy to go on the lease. The bedroom is bright an spacious (about 3.5m x 3.5m), comes unfurnished but big enough to fit a queen size bed and wardrobe with room to spare. There is an option to purchase the wardrobe and chest of drawers. 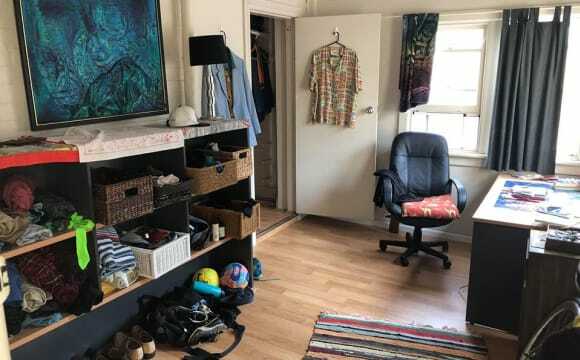 The room is in a three bedroom, one bathroom house on the Leichhardt side of Petersham. The rest of the house is fully furnished with a large courtyard and shed out back. 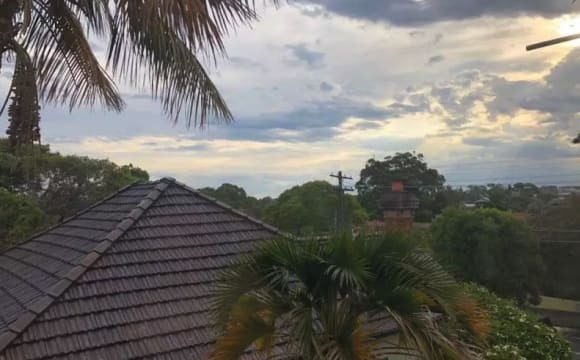 Only a 5 minute walk to restaurants and shops on Norton Street and busses going into the city on Parramatta Road and a 10 min walk to Petersham Station. About you: You are a long-term renter, easy going, don't mind cleaning and helping out around the house, and like to have a laugh. You are happy to chill on the couch watching TV or hanging out, but are also comfortable doing your own thing. We're looking for someone who will fit this kind of environment, preferably someone who wants to be sociable but also likes their own space.